At My Loan Quote, our home equity lenders are dedicated to helping homeowners secure home equity loans online, even if you have bad credit. My Loan Quote will assist you in finding a debt consolidation loan that can be secured by your home. Do you want to make your debt problems are part of your past? Our loan professionals will connect you with the right loan for consolidating high interest bills, high rate auto loans and refinance them into a better loan. If you have recently been turned down when applying for a loan from another bank, brokers or mortgage lenders, then you have come to the right site online. 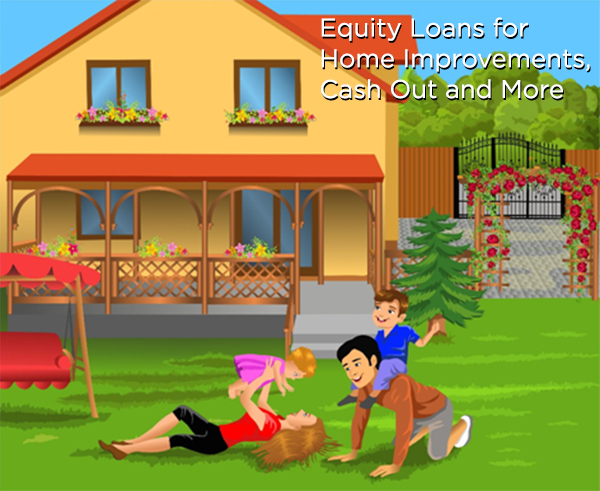 Connect with Home Equity Lenders Offering the Best Equity Loans Available! We will help you refinance your debts, as well as understanding how to lower your monthly payments and help you become debt free. My Loan Quote can help you turn your finances around with a refinance or home equity loan. Some people take out an equity loan to refinance their home equity credit lines and some homeowners take them out to fund home improvement and construction projects. To request an equity loan, please complete the simple loan quote form to the right. Our loan staff can assist you in your quest for a home equity loan. Apply Now for a low rate home equity or refinance loan. Refinancing your equity loans can be simple with MLQ. Most equity loans are closed within 2-3 weeks. Many people have credit that might be considered less than perfect credit, but that doesn’t mean that you don’t want to refinance. We’ll help you research the loan you need without making any phone calls or completing forms from other websites. MyLoanQuote.com wants to help you qualify for a home equity loan that you will benefit you now and fifteen years from now, when your equity loan is paid back in full. My Loan Quote connects you with brokers and lenders quickly! Work with top Home Equity Lenders in Minutes! Home Equity, Refinance and 2nd Loan Quotes Available.